Canadian industry on every level needs curious and motivated employees with strong skills in continuing education (science), use of new technical innovations (Technology), problem solving (engineering method) and a variety of math applications. 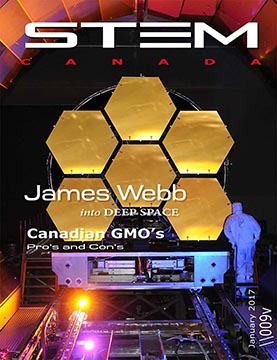 Knowledge is power and STEM Magazine Canada is a strong influence to inspire educators and their students to explore and pursue their dream careers in every province and territory. Please help us find a national sponsor for Canada to avoid subscription costs.